Laser light is not a single continuous wave; the wave source has breaks. What this means is that the wavelength produced by the laser has some uncertainty at lengths larger than the length between two breaks. This length is the coherence length. The interferometer experiment works by showing how interference caused by the phase shift of each arm changes as a function of the difference in path lengths. 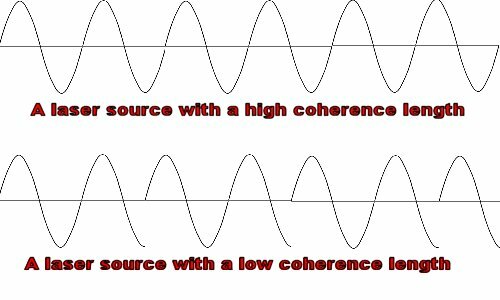 When the difference in path lengths is greater than the coherence length of the laser source, accurately interpreting phase data becomes impossible . 1. Millet, Peter J. "An Undergraduate Optics Experiment on Coherence Length and Bandwidth." American Journal of Physics, Volume 39, Issue 2, pp. 163-166 (1971).